FAQ: Frequently Asked Questions | Choose a Reliable Contractor | Best Materials for Sunrooms, Conservatories, Windows and other remodeling projects. FAQ- Frequently Asked Questions about Sunrooms, Remodeling and Windows Coming Soon! You can also see other home improvement questions and answers by visiting: Rick Hubbard's expert profile at allexperts.com. There's little doubt that we love our homes, but there are times when virtually everyone feels a bit boxed in. Perhaps we've outgrown our home, or maybe it just feels a bit dark and claustrophobic. For whatever reason, there are times when it would just feel good to bring extra light and airiness to our homes. While the popularity of sunrooms has waxed and waned over the years, most people think of a sun room as an aluminum structure that lets all of the heat out in the winter and turns into an oven in the summer. Well, times have changed, and so have the materials used to build sunrooms. These days, homeowners are increasingly choosing sunrooms that use vinyl-wood composite for the framing and high-quality windows from the floor to the ceiling. The result? Well, there aren't any unsightly screws or fasteners on the walls or around the windows; instead, lovely trim and moldings provide the finishing touches. Plus, the energy efficiency is unbeatable. 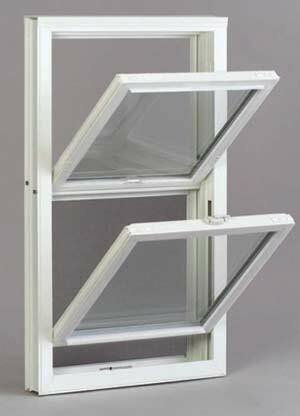 A typical aluminum-framed sun room is between ten and fifty percent below EPA requirements for habitable structures. In contrast, a special wood-composite sunroom average twenty-five to forty percent better than EPA codes. This means that, for example, if you live in a state like Texas, your sunroom is usable year-round and won't cause your energy bills to soar. Plus, the cost of building a sunroom out of these new materials is about that of an aluminum sunroom - and decidedly less than an all-out remodel. If you think you'd enjoy the comfort and relaxation of a sunroom, conservatories put your home into a class all by itself. Sometimes called a solarium, a conservatory often becomes the most used room in a home. Mahogany conservatories are gorgeous, and typically are available in a variety of roof styles, including Windsor, Georgian, and Victorian. Many homeowners have nice patios, but simply don't use them. Often, especially in places like TX, it's just too darned hot to have the sun beating down on you. If that's the case, then it's easy to dress up your patio with a patio enclosure, a patio cover, or an arbor. Enclosing or covering your patio gives you that much more living space and enables you to truly enjoy your backyard. Whether you want a sunroom, a solarium, or a patio enclosure, it's important to find a company you can rely on. Make sure that all materials and labor are backed by a 100% lifetime transferable warranty, which will be attractive to buyers if you ever sell your home. Moreover, the company you choose should provide you with a buyer's guide, a contractor's evaluation sheet, and design options before you buy. The best companies even offer a 3D architectural rendering so that you will know what your room will look like. A sunroom or conservatory is a wonderful way to breathe new life into your home. So let the sun shine in! The Preceding article "A Sunroom Addition Lets You Bring the Outdoors In" was written by Chris Roberts of Majon International.